Canyoning is a sport born around the 80s in France and Spain. This adrenaline activities allows to descend the course of rivers and streams by combining the use of climbing and speleological technics to normal trekking and swimming. The best place to do canyoning is the mountainous context where the rivers have carved deep valleys called precisely canyons, ravines or gorges. In Sardinia many canyons (mostly dry) take their name from the Sardinian language using the terms Bacu / Codula to indicate the gorges of torrential character that the flow of the river has created. 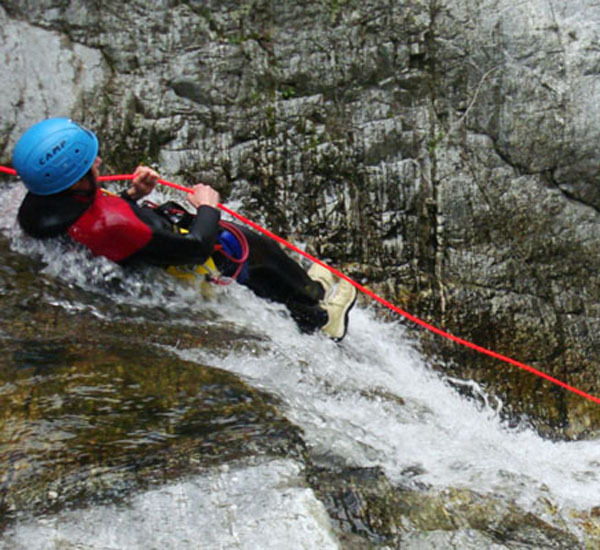 Canyoning means get off these spectacular and pristine gorges combining trekking on the riverbed, diving and swimming in natural pools, sliding on the smooth wet rocks (toboggan) and using the ropes to overcome waterfalls and jumps. Each canyon is characterized by a difficulty scale in this way there are easy (F) or little difficult (PD) canyoning which can also be safely faced by those who have no previous experience. It is still important not to have physical problems, be able to swim (otherwise you can use a life jacket), does not suffer from vertigo and above all wanting to have fun! Naturally the flowing water in mountain rivers have a much lower temperature than the body, so we need a neoprene wetsuit (5.5 mm). 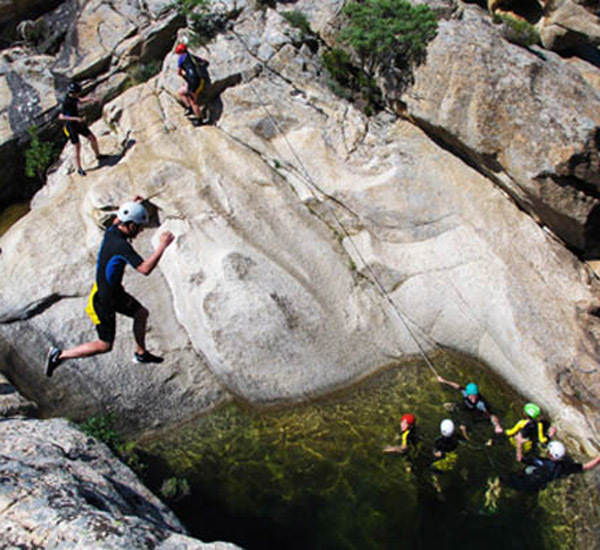 Luckily in Sardinia the Mediterranean climate permits to do canyoning all year round without any problems of hypothermia. Canyoning wetsuit is practically equal to a scuba wetsuit but can have reinforcements at the elbows and knees to prevent rubbing with rocks that wear it out quickly. 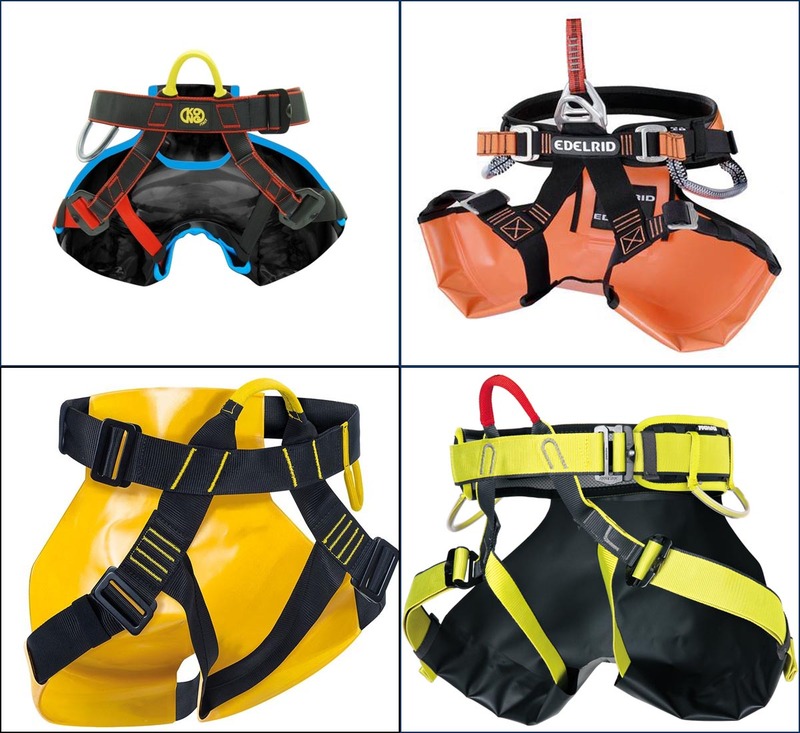 In combination with the wetsuit it is also used the specific harness for canyoning a bit different from a climbing harness. In primis it differs because it have a much higher Belay Loop that work better for rappelling, in secundis the harness is reinforced to face the rubbing against rocks and finally there is a sort of 'shorts' in PVC that makes it possible to slide making funny toboggan. 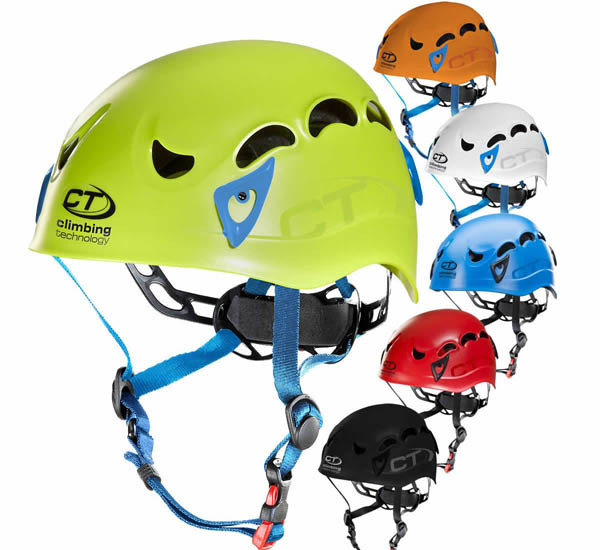 Like all outdoor activities it is absolutely necessary to have a helmet that protects the head!. Harness, Helmet and Wetsuit are the basic equipment that every ‘Canyonista’ must have, they permit to have a funny and safe Canyoning! During its flow river can form real natural slides and thanks to the harness with the ‘PVC protection’ we could have a lot of fun! The right position to maintain is stretched but not rigid. The hands position is on the chest with crossed arms, even legs must remain stretched and tightly closed to avoid the hit with the rocks. This is one of the funniest situations that Canyoning have: the toboggan! Those wonderful natural pools are ideal for a desire: dive! Often below the waterfalls water creates deep lakes that are perfect to have a dive. Of course we are talking about a height that will never exceed 10 meters to avoid too violent impact. The correct position to dive is with the body in a vertical and stretched stand trying to impact the water with the feet, the arms are kept close to the body to prevent disequilibrium. Thinking Sardinia was founded by Stefano Meloni, Hiking and Tourist Guide. The association is assembled by professional guides who are qualified in the various branches of 'active tourism'. After the main site of 'Thinking Sardinia' were born the others portals created with the purpose of developing all the specific activities related to tourism. We are able to offer a wide range of adventures localized in all the Sardinia.